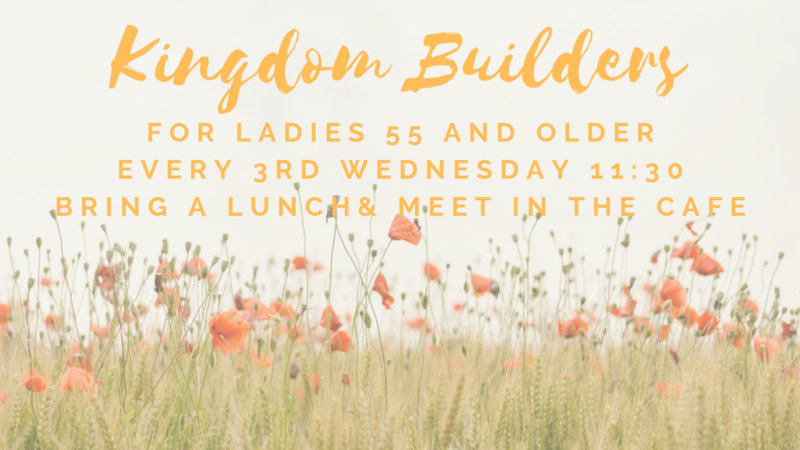 Kingdom Builders is for ladies 55 and older who meet every 3rd Wednesday of the month. Ladies are asked to bring a lunch for themselves and enjoy a time of fellowship and study of the Word. For more information please see Elaine Cornett or Shirley Buck.